Dhamra: One day capacity building training programme on Haemoglobin testing was organized by Adani Foundation at Dosinga GP office on Jan 3rd 2018. Attending this programme, Shri Anirban Choudhury, Technical expert from Mumbai has delivered use of the testing instrument via-vis training on the detection of Sickle cell Anaemia and haemoglobin percentage. 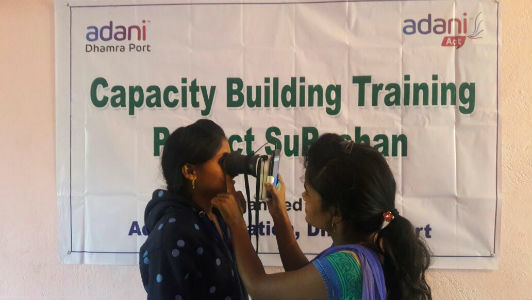 Adani Dhamra port imparted training to 20 numbers of SANGINIS from 33 villages under 10 panchayats of Bhadrak district. This programme will be benefited to 1-5 years children, adults and women of periphery villages. 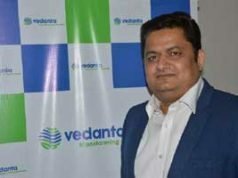 Adani foundation aims to examine more than five thousand girls and women under this programme in comming year. 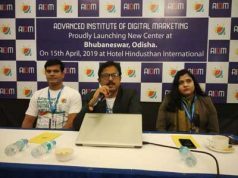 The programme was successfully convened by Adani foundation.